I'm Steve Sisolak, Clark County Commission Chair from Las Vegas. We are raising funds to assist the victims of the tragic Las Vegas shooting. Funds will be used to provide relief and financial support to the victims and families of the horrific Las Vegas mass shooting​. For the latest information, please check the “Updates” tab on this page. Many thanks to you all for your support. Donations to this fund are now closed so that the Las Vegas Victims’ Fund Committee can collect all final contributions and begin making distributions to victims in early March, according to the Protocol adopted by the Las Vegas Victims’ Fund. Further details and the Protocol can be found on the Las Vegas Victims’ Fund website: https://lasvegasvictimsfund.org/. The new Las Vegas Victims Fund website ( https://lasvegasvictimsfund.org) also has the latest on resources and distribution, and should serve as your main source of information moving forward. Fundraising will remain open on this page at least through January 31, 2018. All donations previously made to the Nevada State Bank account or by check will be sent by the Direct Impact Fund to the Las Vegas Victims Fund. You will receive a tax receipt by the end of the year for any contribution made to the Nevada State Bank account, mailed to the Green Valley Pkwy address, or made online through this page. Your support in this time of crisis has been invaluable and comforting. Thank you. It is incredible to see the ways supporters and donors have stepped up in the wake of 1 October. Donations have come in from all 50 US states, nearly 20,000 from Nevada alone, and donors from more than 80 different countries have contributed. Your messages of support, encouragement, and solidarity have shown us to be a truly global #VegasStrong community. We appreciate it deeply. A revamping of the LasVegasVictimsFund.org site is also underway. The Las Vegas Victims Fund is a Nevada non-profit corporation which was created to oversee the consolidation and distribution of funds contributed in response to the shootings at the site of the Route 91 Harvest Music Festival in Las Vegas, Nevada, on October 1, 2017 (1 October). 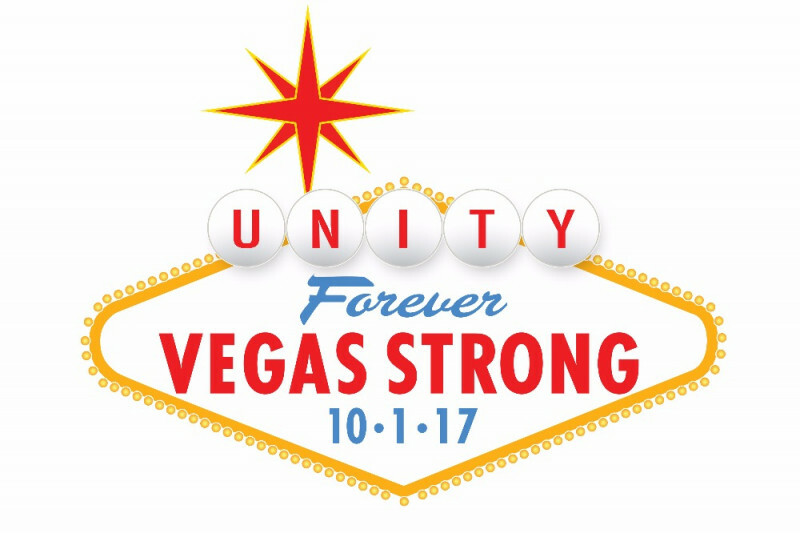 100% of the funds contributed to and distributed by the LVVF will go directly to the families of the decedents and the victims of 1 October. The LVVF is overseen by a committee consisting of 16 individuals representing the Las Vegas community. 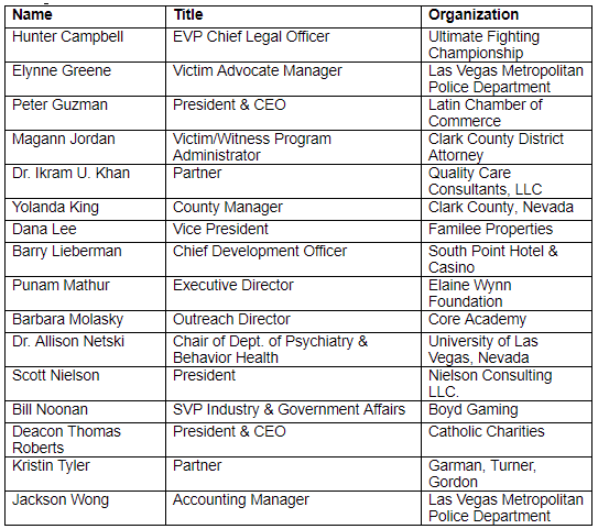 The committee includes representatives from the Las Vegas Metropolitan Police Department, major donors to the LVVF, Catholic Charities, victims’ advocates, mental health professionals, lawyers, the resort industry and charitable organizations, among others. All officers, directors, committee members and consultants will serve without compensation, and all services necessary for the operation of the LVVF will be contributed free of charge. The committee is being assisted by The Feinberg Group and the National Compassion Fund to adopt the protocol, pursuant to which claims can be made, prioritized, and processed, and funds can be distributed. The LVVF’s mission is to quickly, efficiently and fairly distribute the funds that have been, and will be, contributed to assist the victims of 1 October. In the near future, the LVVF Committee will disseminate a Draft Protocol setting forth the proposed rules for the distribution of the funds. The Draft Protocol, once released, will be available at the new www.LasVegasVictimsFund.org site. It will also include the timing and location of Town Hall meetings to discuss and receive comments from all interested parties on the Draft Protocol. The LVVF Committee welcomes your participation and comments. All funds raised will go to the Las Vegas Victims Fund - a project of the Direct Impact Fund, an independent, registered 501(c)(3) non-profit organization. Donations from U.S. donors are tax deductible. Tax receipts for donors will be sent in the coming weeks. If you'd like to make a large contribution outside of this page, please get in touch through the envelope icon to connect with our team. More updates on how to apply to receive benefits from the Las Vegas Victims Fund will follow in the coming days. Please continue to check this campaign for information.